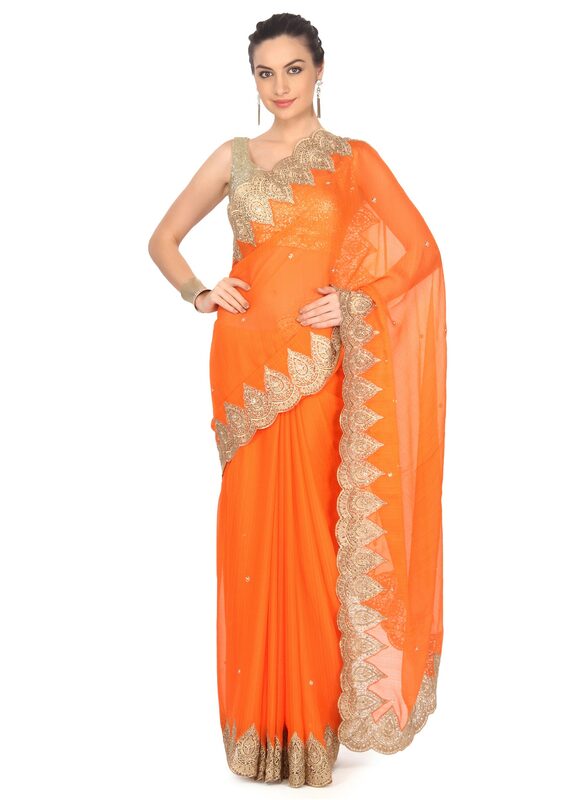 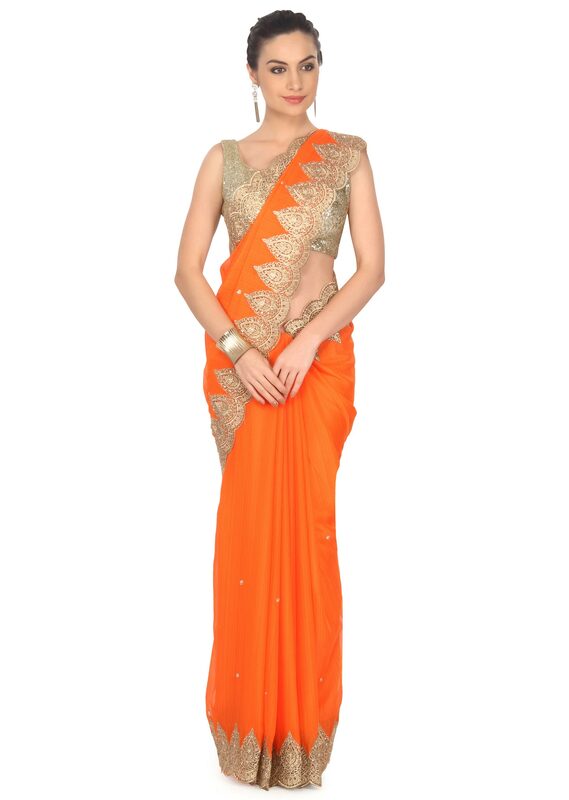 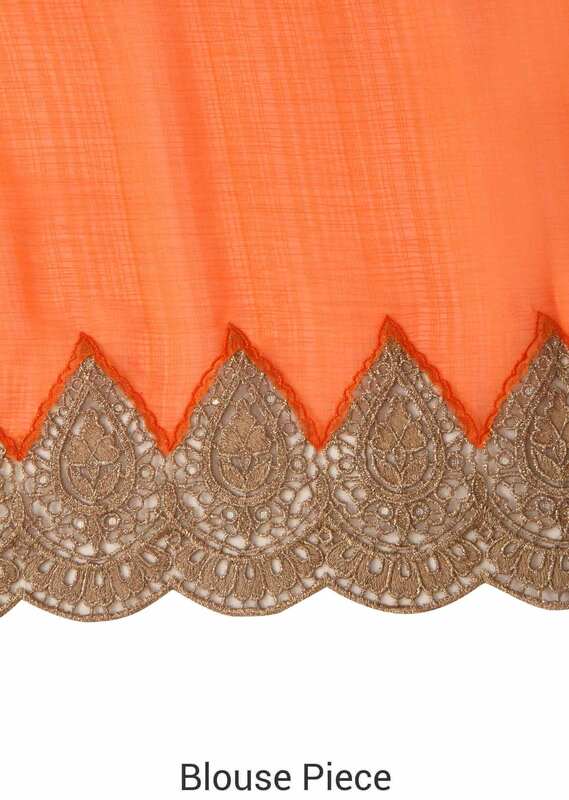 Orange georgette saree with beautifully embroidered border . Border is embellished in zari and kundan embroidery. 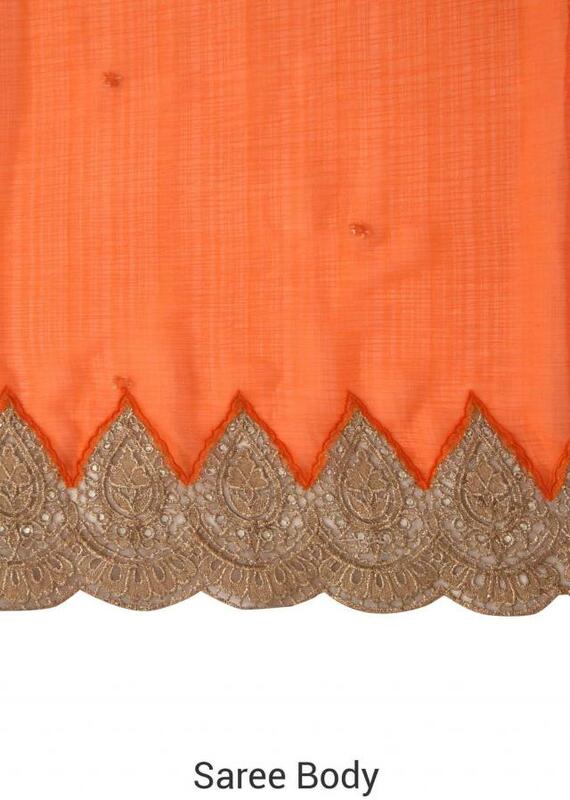 It comes with an orange unstitched georgette blouse.